Quality Management - Asian Circuits Inc.
Asian Circuits' experienced professionals assess the Suppliers potential to ensure a portfolio of best in class suppliers is available before final approval. We constantly review and then rank every supplier periodically to ensure a guaranteed best quality materials are provided as per prescribed standards of Asian Circuits' requirements. Furthermore, Asian Circuits provides continuous feedback on their performance and trains them on improving the quality and environment management as per the systems of ISO9001. We carefully assess and check customer's requirements before proceeding with an acceptance of order so as to be confident that Asian Circuits is capable enough to meet the expected specifications, delivery and other technical and business requisites. Asian Circuits, on receipt of customer's design data and related documentation will proceed with thorough review of all the requirements and transformation of design datum into manufacturing datum via CAM. At the end, a Manufacturing Instructions (MI) comprising of manufacturing datum is devised in accordance to Asian Circuits' prescribed manufacturing guidelines and technical standards. MI should be verified on formulation by independent engineers and get properly checked and authenticated by QA Engineers before its issuance. The first article inspection will corroborate the drilling and routing datum ahead of issuance. In a word, Asian Circuits had developed itself in a manner to guarantee that the manufacturing document is absolutely error free and legitimate. Asian Circuits adheres to stringent process of scrutinizing all incoming materials prior to moving them to the stockroom. In addition, Asian Circuits follows prescribed guidelines and working directives to manage all incoming materials. Additionally, Asian Circuits possesses advanced technology inspection equipment and tools to manage materials to ensure that they are utilized by first-in-first out. The enhanced technology will issue a warning when a particular material gets close to its expiration date. According to its policies, Asian Circuits will utilize the materials before expiration or test them before use. 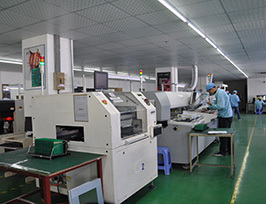 We control our complete production process by adoption of various techniques such as Right manufacturing instruction (MI), entire equipment management and maintenance, stringent monitoring of WIP and its inspection along with prescribed working instructions. 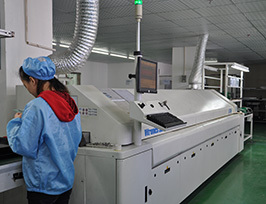 We strongly believe in satisfying all the customer requirements in semi-products and final products; hence, we use specific inspection equipment including, the AOI inspection system, well-defined WIP inspection instructions, and a control plan. 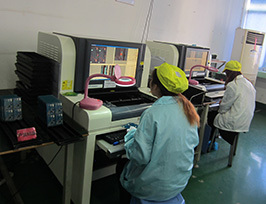 In Asian Circuits, our team ensures that all PCBs after clearance from relative physical tests are passed through the open and short test along with visual inspection. 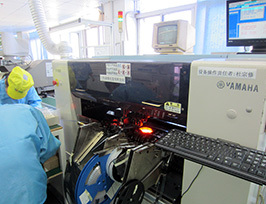 Asian Circuits possesses multi-faceted testing equipment comprising of AOI Testing, X-ray inspection, and In-Circuit Testing for finished circuit board assembly. Asian Circuits has invested in setting up FQA, a special quality assurance testing function that ensures the products meet the specific customer demands by assessing their requirements via sampling. They must be approved before they are routed to the packaging department. Prior to final shipment, FQA ensures 100% audit of every shipment for the fabrication, component numbering series, customer's part number, quantity, location details and packing list etc. Asian Circuits strives to meet all customer requirements through its committed, professional, customer service department. They always work hard to provide timely feedback for customers queries and to proactively resolve their problems. In fact, they also work to solve most of the related problems on a customer's site. Asian Circuits invests in conducting periodical surveys to understand its customer needs and provide the best solutions. Accordingly, Asian Circuits makes customer service improvements and attempts to develop products that fulfill the specific needs of its customers.